The natural patina on our new Gavilan Corneta Wooden Handle Machete gives it that ready-for-business look that needs no special treatment. The hot rolled, 18” SAE 1074 high carbon steel blade is a work horse ready to get the job done. 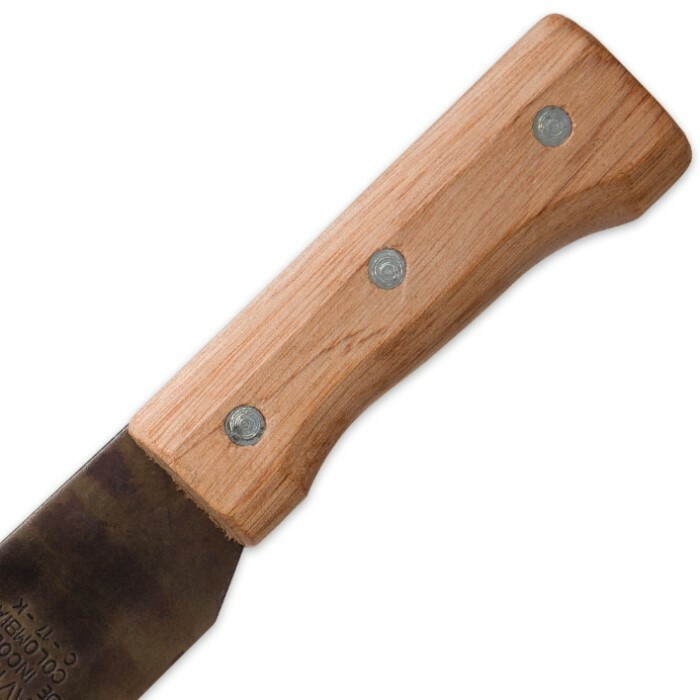 When you add the sturdy, contoured wooden handle, you have a machete that will be one of the most valuable tools you own. While the blade is rough and the grind isn't perfect, for the $5. I invested it's a good chopper. The edge can be sharpened razor sharp with a little stone work because of it's high carbon content. Overall a suitable tool for certain jobs...can't complain about the price either. Not the best looking machete, but I got it for 5$, so I can’t complain about looks. However I did notice that the grind goes further on one side than the other, and it has about a inch of unsharpened blade. The edge isn’t the best, has a bit of rolling and is really uneven, but can probably be fixed with some sharpening. In the end this a tool, and the patina makes for good rust resistance, good for the price. 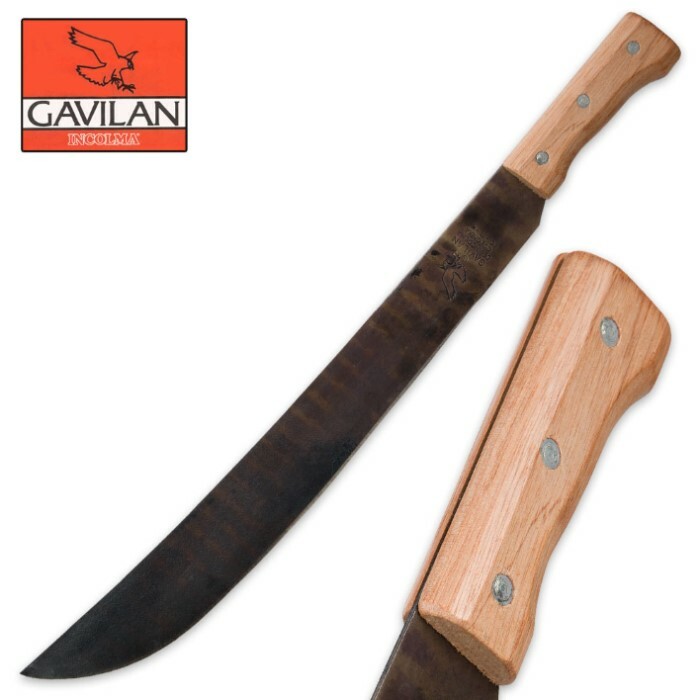 This is the third machete I get from Gavilan and has become my favorite. The blade has a dark almost rusty look to it. Plus, it came sharper than the other two I have. 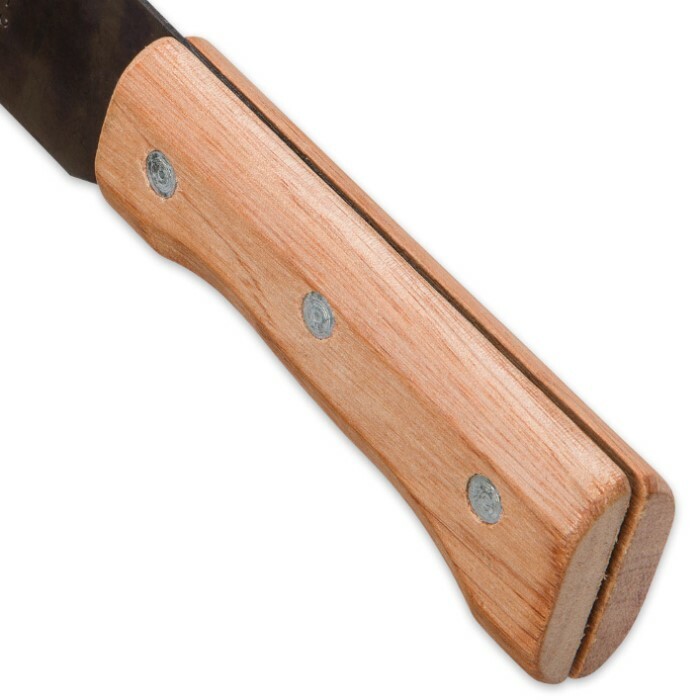 The wood handle looks and feels really good too. I just wish these came with sheaths. Oh well. These are more tools than weapons so it's ok to toss them in the shed as is. Thanks BudK!